The dining experience here is truly outstanding. And it’s not just about delicious meals and fancy desserts because when it comes to wellness, good nutrition is a big part of being and living well. Our dining staff work every day with that in mind to ensure residents, families and staff alike find enjoyable, nutritious meals and menus from which to choose. It’s even more special when served by the caring and considerate servers at Marjorie P. Lee. And if there is ever something you are just craving, the dining services staff will whip it up for you. When you come for a tour, stay for lunch or dinner with our residents. 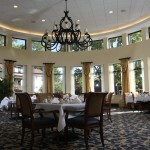 You’ll understand why so many consider dining at Marjorie P. Lee a favorite part of their day.